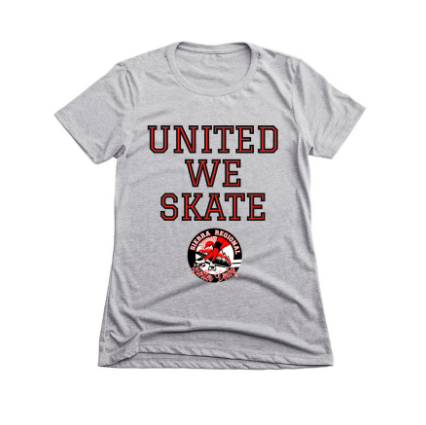 United We Skate Shirts NOW AVAILABLE! Get your United We Skate Shirts, while they last. This is a short run design and will only be available until March 11, 2018. Don’t miss out on your opportunity to support your local roller derby league! All proceeds will go towards our search for a new permanent facility! Previous postWe are now a full WFTDA Member!